Brightly colored confetti and sequined samba queens covered the newly renovated Sambadrome in Rio de Janeiro, marking the beginning of the 2012 world-famous annual Carnival. 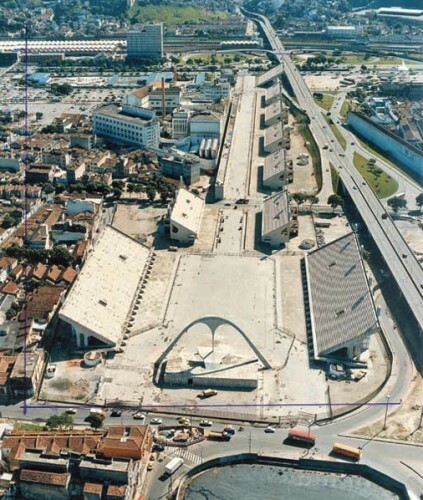 Designed by Brazil’s legendary architect Oscar Niemeyer, the Sambadrome was originally constructed during the first government of Leonel Brizola (1983 – 1987) in an effort to provide Rio with an urban facility that would serve as the permanent location of the traditional spectacle of the samba school’s parade. Inaugurated in 1984, the Sambadrome is also known as the Catwalk Professor Darcy Ribeiro out of respect to the man who moved the parade to its current site. In preparation of the ever-growing annual Carnival and the 2016 Olympics, the Sambadrome has undergone renovations to expand the 60,000 person capacity to 90,000. Concrete stadium seating is broken into separate sectors, offerings a variety of seating arrangements and amenities, as they line the 700-meter-long Parading Avenue. Each year, the long catwalk is overcome by the Samba Schools of Brazil in the event known as the world’s largest festival. 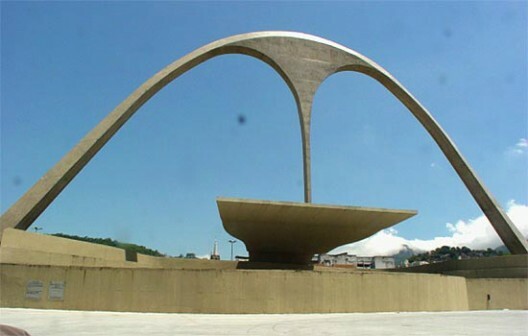 The end of the catwalk is marked by a grand arc, located in Apotheosis Square, which also serves as the location of the Museum of Samba. The renovations began soon after the 2011 Carnival. Nearly 600 workers works 24-hour shift to quickly complete the work before the this years festivities. In order to make room for the new bleachers, the former factory of Brahma was demolished. Check out a time-lapse of the entire reconstruction below. 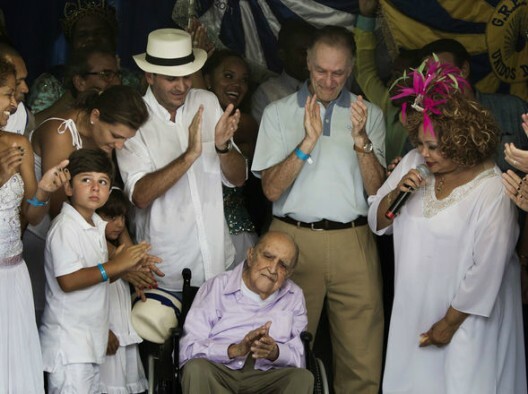 On February 12, 2012, Oscar Niemeyer, along with thousands of others, attended the official opening of the reconstructed Sambadrome. The event hosted a 5km costume race that began and ended in The Sambadrome, encouraging the spirit of the carnival.